How Many Minutes Does Texting Cost for TracFone? How Much Does Texting Cost for Tracfone? This is a relatively common question many people have when looking at buying a Tracfone cell phone. Tracfone is a prepaid, no-contract cell phone service provider. They have low cost minute cards, and many cell phones for under $100 (and even under $20). With Tracfone service, you pay for how much you use the phone, and you have to buy prepaid minutes to put on the phone before you can use it. Texting with Tracfone is very reasonable, and we are going to share exactly how it works, and how much it will cost you. Before we get to the cost, we must explain that texting charges are different for Tracfone's newer, Android powered smartphones. These smartphones put minutes into three separate 'pools' of calling/texting/data. Read our guide, How Minutes Work on Tracfone Smartphones to get the full explanation. We will share below how much texting will cost on the smartphones as well as regular Tracfone devices. Sending an MMS costs 0.5 unites, and pictures cost 1 unit on non-Android phones. Sometimes pictures can cost more, especially if they are larger images. And remember that you get deducted for every text you send or receive. What about Android phones? 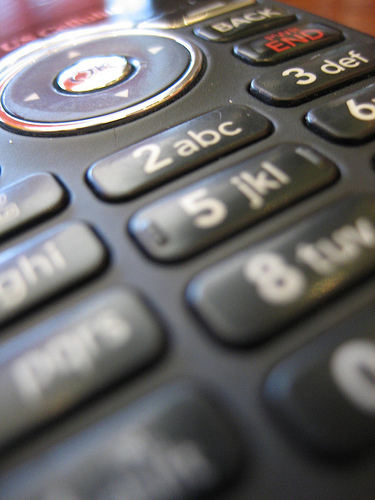 How much does texting cost on a Tracfone smartphone? This is a very straightforward answer, because texts are already separated from calling and data on the smartphones. So with a smartphone, each text deducts one text from your 'text pool'. At this time, here is no way to just buy texts, so if you run out you will have to buy another prepaid minute card. Some users have experienced problems sending photos on smartphones. This may be due to these users leaving their data turned off (which is usually a good idea, because it keeps apps from using data). Data is used when sending pictures. If you have more questions about the smartphones from Tracfone, check out our Android vs non-Android comparison, that covers many of the differences. Texting with Tracfone is very reasonable, although if you send thousands of texts per month, you may want to look for an unlimited plan. On newer Tracfone Cell phones, such as the LG 840G or any Android Smartphones, using the web browser costs differently based more on the amount of data used, instead of time online. Additionally, the LG 840G and all the Android phones have WiFi connectivity, which is free to use on the phone when you are connected to a WiFi network. Using Tracfone prepaid cell phones is great for those who want an emergency phone, don't use their phone too often, or just need a phone in a hurry. And with many of the newer Android powered smartphones, they have become even more economical for daily use. To learn more, read our Overview of Tracfone or visit our Cell Phone Reviews page. We also created a Beginners Guide to Tracfone, to answer many of the comment questions consumers have. We hope this has been helpful! Leave a comment if you have questions, and thanks for visiting! Keep up with the latest from our blog by following us on Facebook! Great deals on Tracfone Cell Phones and Minutes collected from around the web. We monitor the prices for many different Tracfone Devices and share our top finds here. We hope you enjoy! These are some top discounts on Tracfone items from a variety of sources. While Tracfone does sell phones directly through their website, the phones can often be found for less through other retailers. But there is a real challenging trying to keep up with which phones are a good deal, and what you should pass on. 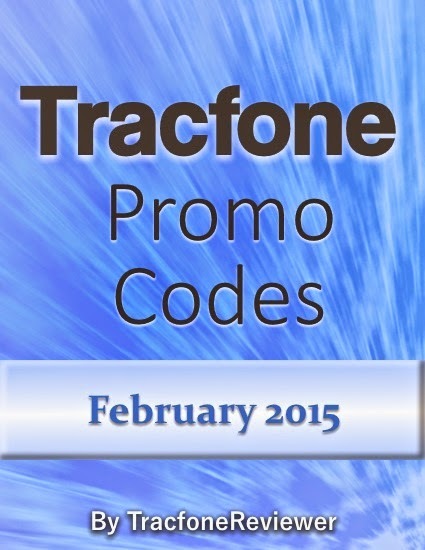 So we are here to help with our list of 5 of the latest deals on Tracfone devices for February 2015. Read through this list below and see if any of the deals are just too good to pass up. If you're still learning about Tracfone, jump over to our Beginners Guide to Tracfone which will share a lot of the basics on how Tracfone works, and the different phone options available. For those who are shopping for a new phone, narrow your search by reading up on the reviews at our Cell Phone Reviews page. Or if you know you want an Android, then see each phone compared side by side on our Android Tracfone List. These deals are the best we've found, but if you see something better, let us know in the comments so we can add it! The Moto E comes with Android 4.4 and is one of the better smartphones currently available with Tracfone. It has a 4.3" touchscreen, dual-core processor, and great battery life. It doesn't have a front facing camera, but does have a 5mp rear camera. View the full specs on our Moto E page. With this deal you get the phone, plus a 400 minute/ 1 year of service card. The card itself usually retails for $100, making the phone basically free. The Moto E often retails for around $90. The LG 306G and 305C are feature phones with 3.5" touchscreens. They run a java based operating system which allows the use of some apps, but doesn't use a standard operating system like Android. They have a single 'pool' for minutes, unlike the separated talk/text/data on Android phones. You also get Triple Minutes for Life. The LG 306G is for use with GSM networks, while the 305C is for CDMA. Basically if you currently use a phone with 'G' at the end, go with the 306G, and if you use a phone with 'C' then use the 305C. Learn more about these phones by reading our LG 306G review and LG 305C review. At only $10 these phones are great for those who aren't interested in the added functionality of an Android smartphone, or as a first phone. If you are looking at buying the LG 306G, and you could use some additional minutes, this is a great deal. The 200 minute card you get with this bundle is usually $40 in stores, but you get it for just $35 (plus shipping). You also get the LG 306G for free. We recently picked the LG Ultimate 2 as the best Tracfone device currently available (read the post, What is the Best Tracfone Device? to see why). It comes with a 4.5" touchscreen, Android 4.4 and over 4GB of internal memory. Plus you get both a front and rear facing camera, and plenty of other features. Read more about this phone on our LG Ultimate 2 Review. This phone typically retails for $100 or more, but this deal gives you a 400 minute card, worth $100, plus the phone for an extra $30. If you can use the minutes, and like this phone, then this is a great deal for you. Minute cards, which are used to add extra airtime to your phone, as well as extend the service days, don't often go on sale. But these two deals provide a nice little discount on the normal price. The 200 minute card usually retails for $40 in stores and on the Tracfone website. But you can get it for a little less through this sale. The 400 Minute/1 Year of service card goes for $100 in stores and online, but if you enter promo code 84299 on the Tracfone website at checkout, you get $15 off. If you're looking for more information on Tracfone Minutes, take a look at our Guide to How Minutes Work with Android Phones and also check out the About Tracfone page. We recently compiled a list of the Best Apps to use with Android Smartphones. Browse through the list and see the top picks. Best of all, most apps are free! Don't forget about the Tracfone BYOP program, which allows you to bring your own phone to use with Tracfone. Many users have been reporting great success with this program, including using phones like the Moto G with Tracfone. Thanks for visiting, and be sure to pass the deals along to your friends and family. Leave a comment if you find more great deals! 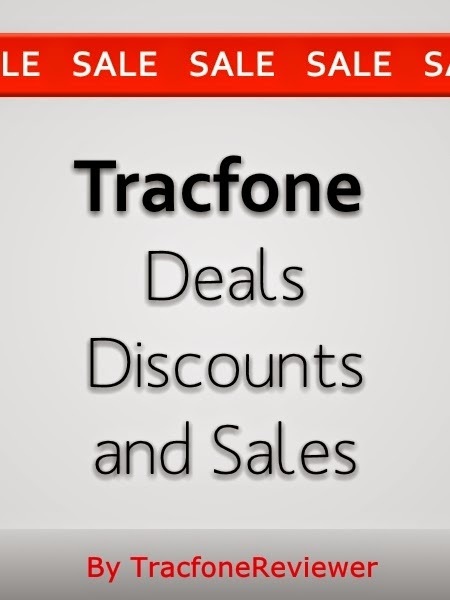 Each month TracfoneReviewer collects and provides here a list of the latest promotional codes from Tracfone for you to use and get extra minutes for free! Tracfone is a prepaid wireless cell phone service provider that offers low cost, no-contract options for you to own a cell phone. When adding the prepaid minutes to your phone, sometimes you can also use a promotional code and receive extra minutes for free. Prepaid phone cards come in several different amounts, and certain codes go with each card, or any card of greater value. Tracfone also provides a variety of phones, including Android smartphones. Take a look at our Android Phone List for all the options, but remember that promo codes won't work with Android phones. We recently chose our pick for the Best Tracfone Device. What do you think we picked? Take a look to find out. If you're looking for more details on how Tracfone prepaid service works, or how the promotional codes are added, read our Beginners Guide to Tracfone. You'll find plenty of information to get you started. Now, let's get to the codes. We have collected these from various sources with user feedback to help ensure they are the latest, and valid through February 2015. We strive to provide the best codes, and leave a comment with how the code worked for you. Use the following codes for an extra 20-300 minutes added to your phone when are adding prepaid minutes. Each code works for a specific minute card amount, or cards of greater value. 1 Year/400 Minute Card use 84299 to get $15 off the purchase price, but only available online at the Tracfone website. These are the codes for February 2015. If you can't find a code that is working, or want more options, go to our main Tracfone Promo Codes page for the complete list. We hope you found these codes useful, and were able to get some extra minutes for free! Let us know which codes worked for you in the comments below. If you're in the market for a new phone, don't miss out on the information available on the Tracfone BYOP page. We share a lot of details about bringing your own phone to Tracfone, including a list of compatible phones. Don't forget to protect your device. We have compiled a resource for finding Smartphone Cases and Covers for many of Tracfone's popular devices. Finally, if you do have a smartphone and are feeling depressed that the promo codes won't work for your phone, head over to our List of the Best Apps for Android and get cheered up by all the things you can do with your smartphone!